CD Projekt RED has been working to branch out its Witcher franchise into other areas. Breakout Witcher 3 side game GWENT has found life as a standalone game, but there's something that the card game appeared to be missing. The developer is looking to fill that missing void by introducing a mobile audience. On Wednesday, CD Projekt RED revealed that GWENT: The Witcher Card Game is on its way to mobile devices. "We've been preparing long and hard to adapt GWENT to smartphones," GWENT Game Director Jason Slama said via press release. "Beautiful visuals aside, we've tailored much of our technology, including GOG Galaxy which powers GWENT's multiplayer, to support mobile devices. I think our vision for bringing GWENT to smartphones combines the best we have to offer both in terms of graphics and gameplay. I can't wait to share more details on the subject with you later this year." As noted by that statement, there's no indicator on when GWENT will hit mobile platforms, but it will come to iOS and Android at some point in 2019. As for the game that's currently out on PC and consoles, GWENT is about to take another step forward with the introduction of its very first expansion. 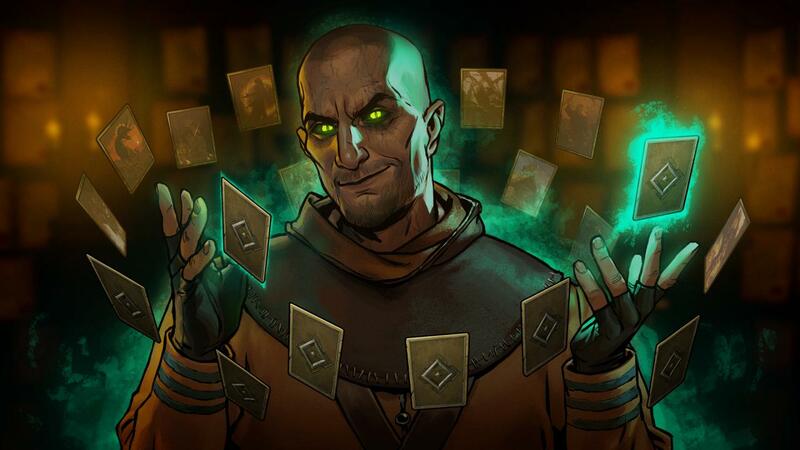 Revealed earlier this month, GWENT: Crimson Curse will more than 100 new cards to the Witcher card game, many of which will utilize new abilities and mechanics. Players can also find five new leader characters, some from the various Witcher games and others that are making their Witcher video game debut for the first time. GWENT: Crimson Curse arrives on PC, PlayStation 4, and Xbox One tomorrow. That means there's only one more chance to take advantage of the Crimson Curse pre-order bonus, which offers 40 Crimson Curse Kegs at a discounted rate.